14.09.2015 - SMSPM and taxi dispatching software mTaxi started to work together. mTaxi uses SMSPM for marketing SMS campaigns and to send SMS to own clients. 27.02.2013 - Viva has launched a web based payment portal for paying bills and topping up prepay accounts. Zain has launched its LTE network, with infrastructure supplied by Ericsson. 24.01.2013 - Batelco suffered network failures across Sitra following vandalism to one of its key telecoms nodes. Menatelecom says that it has awarded a LTE deployment contract to Huawei. No financial/timeline details were provided. 06.12.2012 - Batelco is to start sending price notifications to customers using mobile data when roaming. Batelco has had to issue a denial following rumours that it imposes a charge for receiving text messages. 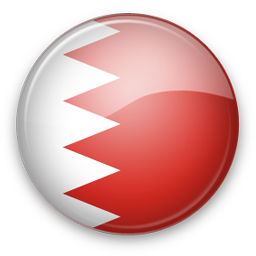 31.08.2012 - Batelco has apologized to customers experiencing problems with its 3G network during peak hours. GSM services are unaffected. Q: Do you support all Bahrain networks? A: We support Batelco, VIVA, Zain and other networks. If some SMS network is missing please contact us and we will find solution for you. We work worldwide! A: You can find documentation and integration examples on Gateway SMS page.